Coach Goodspeed has been coaching soccer for over 12 years. He has coached all ages and both boys and girls teams. His teams have won several conference and league titles. 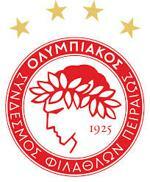 Last year they were the first California Olympiacos FC team to win their league cup. He loves the fast paced fluid soccer Olympiacos plays and you can see that in the players he coaches.